, spoke at SXSW this past weekend. In a series of statements connected to price and positioning, Vesterbacka suggested that mobile games are on the way up while console games are "dying." According to Vesterbacka, and here's where I tend to agree, mobile game companies are in a great position right now because they are so nimble. The marketplaces, and the context of the software itself, makes it very easy to develop mobile games. Moreover, the simple nature of releasing updates makes it easy to continue to support titles. That extended support, some might argue, is at the heart of what makes mobile games so popular for so long. 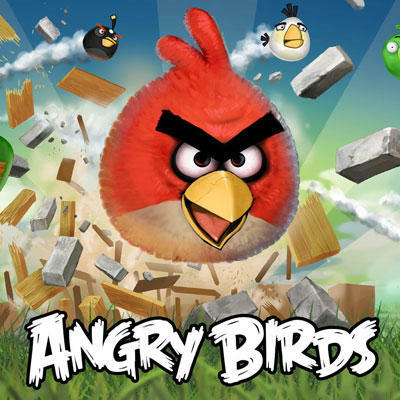 Games like Angry Birds constantly roll out new content. Where I disagree with Vesterbacka comes next. He argues that the method and model of console games are dying. He cites the price tags and support difficulties as the leading cause of console gaming's supposed demise. Vesterbacka claims that games with $40 – $50 prices and a lack of easy support is ridiculous. But, what Vesterbacka seems to ignore here is the nature of console gaming as compared to mobile gaming. I'm willing to concede that some console games are overpriced. It's hard for me to rush out to the store and pay $60 for a game that lasts around 8 hours, lacks longterm support and delivers no multiplayer experience. In that aspect, mobile games are perfectly priced. For a buck or two, players get simple diversions from life that can last from minutes to hours at a time. The depth of the experience may not be overwhelming, but the variety of play is more than worth the price of admission. When you get developers like Rovio that are willing to support the title well after release, it's all gravy. However, when you start talking about the quality and larger characteristics of the titles themselves, that's when console gaming becomes my preferred method of play, regardless of price. These games can feel massive. They leave a huge, epic impact on you when you're finished. The deliver incredible story lines, characters, dialogue, music, gameplay, voice acting and graphics. Consider titles like Red Dead Redemption, Mass Effect, BioShock, LittleBigPlanet, Uncharted, Mario Galaxy and the like… are those games worth their full price points?